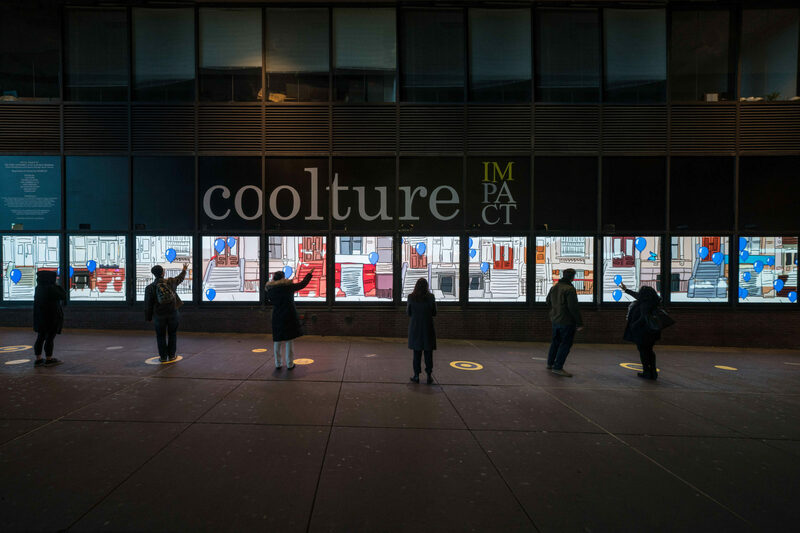 Times Square, NYC: Experience cooltureIMPACT, a first-of-its-kind responsive art platform designed and developed by NOIRFLUX for the Cultural Semiotic Alliance. 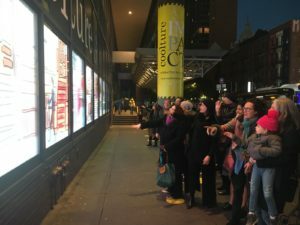 Across 72 feet of the northern exterior of the Port Authority Bus Terminal, it has the largest interactive screen in New York and is the world’s first public platform for the emerging form of responsive art. Through Fall 2019, you can experience a variety of responsive art created by NOIRFLUX, as well as works on which we collaborate with amazing innovative artists. Our second responsive art installation, Stardust Wishes by NOIRFLUX, awaits you now. It’s public art you can visit 24 hours a day, 7 days a week, for free. So get over to 42nd side of the PABT and point, wave, move, and enjoy!